This show and staging will be unlike any we've ever done, and will feature a set unlike any we've ever played! Billy Corgan's Smashing Pumpkins created some of the most iconic tracks of the 90s, fashioning an amalgam of progressive rock, heavy metal, goth rock, psychedelia, and dream pop. Although the Pumpkins line-up has famously undergone almost constant upheaval, three of the band's original members are reuniting for this epic 30th anniversary tour including Corgan himself, Jimmy Chamberlin and James Iha. The mammoth US tour will celebrate all the hits from their biggest albums... a MUST for any Pumpkins fan! Of all the major alternative rock bands of the early '90s, the Smashing Pumpkins were the group least influenced by traditional underground rock. 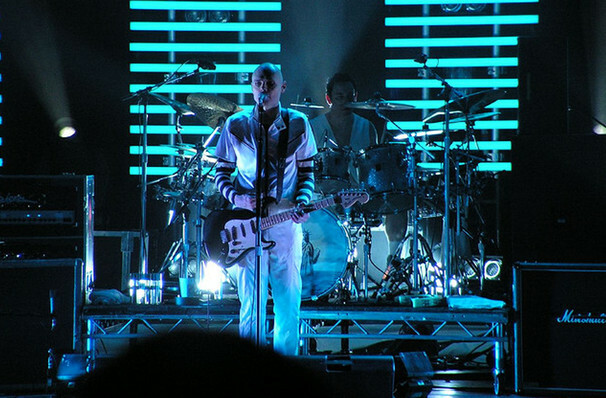 Lead guitarist/songwriter Billy Corgan fashioned an amalgam of progressive rock, heavy metal, goth rock, psychedelia, and dream pop, creating a layered, powerful sound driven by swirling, distorted guitars. Corgan was wise enough to exploit his angst-ridden lyrics, yet he never shied away from rock star posturing, even if he did cloak it in allegedly ironic gestures. In fact, the Smashing Pumpkins became the model for alternative rock success - Nirvana was too destructive and Pearl Jam shunned success. Sound good to you? Share this page on social media and let your friends know about Smashing Pumpkins at United Center. 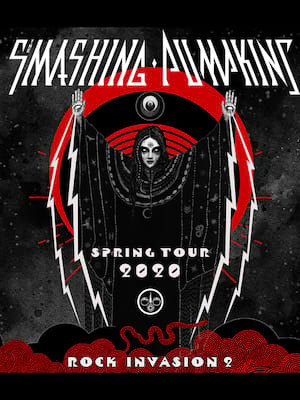 Please note: The term United Center and/or Smashing Pumpkins as well as all associated graphics, logos, and/or other trademarks, tradenames or copyrights are the property of the United Center and/or Smashing Pumpkins and are used herein for factual descriptive purposes only. We are in no way associated with or authorized by the United Center and/or Smashing Pumpkins and neither that entity nor any of its affiliates have licensed or endorsed us to sell tickets, goods and or services in conjunction with their events.